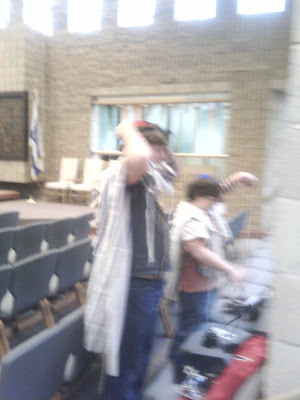 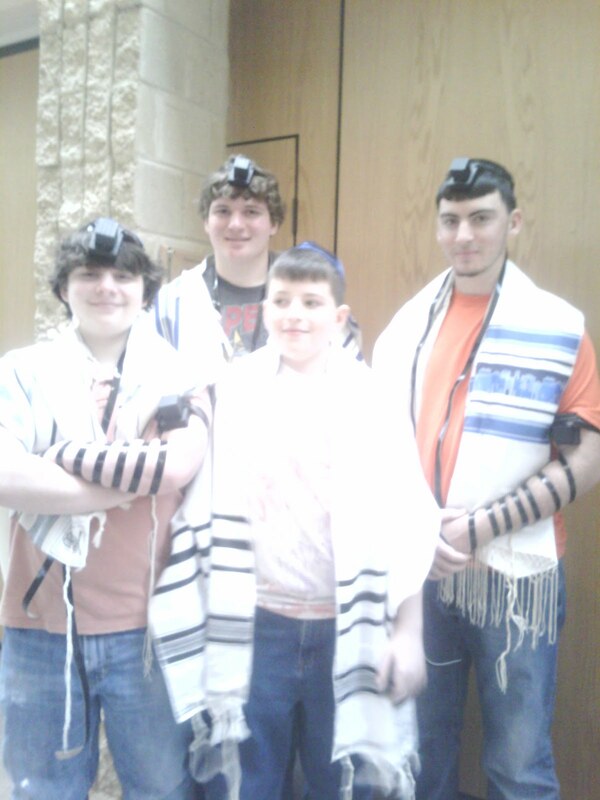 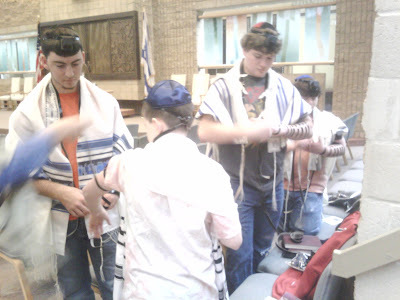 I wasn't there to see it, but our friend's Mom captured photos of it: The Boys putting on Tefillin as part of the World Wide Wrap. Never before has a photo made me say "awwwwww...so cute" and "awwww....I'm so old." I'm so proud of them.